Can we really give a graduate degree in Biblical studies without including an Israel study tour in the curriculum? Ever since the Aramean, Naaman, traveled to Samaria to seek healing from the prophet Elisha (2 Kings 5:1 ff), and ever since a group of magi traveled from Persia in search of the Messiah (Matthew 2:1-2), adventurous Gentiles from across the globe have traveled to Israel in pursuit of a profoundly spiritual connection to the land, its prophets, its stories, its people, and its God. Today, an Israel study tour can be a profound experience. Of all the places on earth where people have gone in search of wisdom, knowledge, peace, or connection, Israel by far is the most sought-after and celebrated destination of all time. How does that truth affect our professions as teachers and administers of biblically-based education? 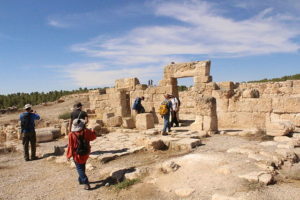 All biblical and historic evidence suggests that God, who created the heavens and the earth, purposely chose this dusty little strip of land along the eastern Mediterranean coastline along with a small, historically despised ethnic group of people, through whom He would accomplish what is conclusively the greatest demonstration of sacrificial love and redemption the world has ever known. It would seem, then, that a visit to Israel should be a core professional development requirement. A thousand years ago, a pilgrimage to Israel was an arduous task, fraught with dangers and loss. Few made the journey. Of those who started out, even fewer completed it. Some of those who arrived never left. Others left, but never made it home. In contrast to those ancient journeys, the journey to Israel today is easy. With so many resources and help from travel and tour companies, taking a group of students on an Israel study tour is also easy. In 2018 more than four million people from around the world (1.2 million from North America) visited Israel and returned to eagerly tell others about it. The majority of all who traveled there did so as a type of pilgrimage—a spiritual journey to connect more deeply and directly to the redemptive story of sacred Scripture. The modern-day ease of traveling to Israel should cause those of us who teach the Bible professionally, or who teach or administer various academic disciplines biblically, to ask what reason we have for not traveling to the land of the Bible today. Can we rightfully claim that we have pursued all possible means to become experts in our biblical fields of study when we have never set foot in the land where most of the biblical stories themselves were forged? 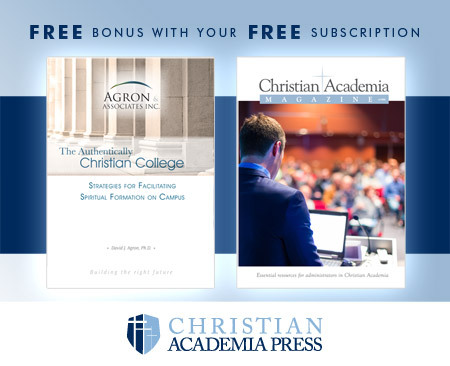 As teachers and administrators of biblical institutions, whose mission is to train Christian students to know the Word so that their understandings are informed by the eternal constructs of the Scriptures, how much effort have we expended in pursuit of those same objectives? In short, have we as teachers of the Bible completed our own biblical studies, and have we provided a means for our students to do the same without visiting Israel? Frankly, with the ease of travel we enjoy today, a first-hand knowledge of the biblical land is indispensable to the proper development of the contemporary, Christian scholar, student, administrator, and leader. There are at least three reasons why arranging an Israel study tour for students is essential for completing their Biblical scholarship. The importance of historical geography to biblical studies. Historical geography is the discipline that studies how geographical phenomena of a particular place or region on the face of the earth shaped the lives, stories, cultures, events, decisions, and the general development of the people who lived there. Historical geography is most interesting when it is applied to the land of Israel and to the Hebrew people who inhabited it, for this was the place and these were the people God were used to bring salvation to the whole earth. Therefore, much can be learned about that redemptive story through the geographic context in which the Jewish People lived — because the literary context, as vital as it is, does not make up the only context of Scripture. Of all the writings held sacred by the world’s religions, only the Bible presents a message linked to geography. This is not just the location of religious centers but the experience of a people in its land, a people that has insisted on its God-given right to self-identity throughout the ages and in defiance of all forces that seek to deny it. All Jews and Christians who profess to find the source of their faith in these Scriptures look to the experiences of that people depicted in the Bible as examples and role models for their search after the Divine will and for their moral conduct among men. The religious experiences of that ancient people took place in relation to a geographical setting, generally a small postage stamp on the face of the globe, a patch of terrain in the southern part of the eastern Mediterranean littoral” (The Sacred Bridge, Anson Rainey & R. Steven Notley, Carta: Jerusalem, 2006. 9). If the biblical message is linked to geography, then a thorough knowledge of the geography of the land of Israel is essential to proper interpretation of the message. While the cities and villages of Israel have changed since the biblical age, the land of Israel is still much the same. In fact, there are still places in Israel where the view you see is exactly the same as would have been seen by Jesus and His disciples, or even Abraham, Isaac, and Jacob. Standing in the land of Israel and seeing it with your own eyes does far more for your comprehension of the geographical context of the biblical text than an equal amount of time spent studying a biblical atlas. Thus, an Israel study tour may enrich your students so much more than another three-credit class. The importance of knowledgeable scholars to biblical studies. There is no denying that knowledge is indispensable to the Christian. The Apostle Peter wrote to the church, “… applying all diligence, in your faith supply moral excellence, and in your moral excellence, knowledge …” (2 Peter 1:5). The primary knowledge that the Christian is to pursue is the knowledge of the sacred text, for through the Scriptures comes the specific knowledge of God and His plan. With the possible exception of Luke, the entirety of the text—both Hebrew and Greek—was written by Hebrew authors, who were native to the land of Israel. All of them drew upon the theological, literary, historical, cultural, geographical, geological, zoological, botanical, and linguistic forms that were indigenous to the land and the people of Israel in that day. The contemporary, western, biblical scholar, therefore, is confronted with a biblical world that is not like his or her own, leading to a sizeable deficit of knowledge of the biblical world the Hebrews knew. While excellent resources are available to fill up that deficit, nothing really compares in value to being in the ancient land itself. There is no doubt that the land of Israel has changed since the biblical age, but its topography, geological features, and climatic zones are still very much the same. Many of the ancient stones that once built its cities are still in place—at least enough to understand much of the ancient, architectural culture. The botany and zoology of the land is very similar. Its ancient language has been revived and, above all, the God of Israel is still present. Knowing and understanding Israel today gives the biblical scholar an advantage by coming to a fuller knowledge of the history, the culture, and the indigenous characteristics of the ancient text. Can we really give a graduate degree in Biblical studies without including an Israel study tour in the curriculum? The importance of impassioned scholars to biblical studies. Few experiences can impassion the believer like visiting the land of Israel. Pastors, professors, and teachers as well as average Christians report how their lives were deeply changed by being in Israel. These same Christians often return to a renewed and committed study of their Bibles and an even more dedicated walk of faith and involvement in ministry. Walking in the land, picking up its stones, seeing its ruins, breathing its air, being immersed in its waters, and simply surveying the breadth and length of its landscape transport believers into the biblical stories themselves. Those stories are no longer taken for granted. Reading and studying the text on site makes the stories real to them, and their principles are now so much more compelling. More than ever today, we need Christian leadership and scholarship that exemplifies and communicates an unapologetic passion for the faith and a genuine love for Christ and the redemptive story. There are few things able to inspire this kind of faith more than being in the land where that beautiful story of redemption took place. I encourage every Christian professor and administrator involved in raising up the next generation of Christian leaders to consider the indispensable benefit of experiencing the biblical story in the land of Israel itself. More importantly, make an Israel study tour available to students. The security and ease of traveling to Israel today have made the opportunity to deepen and expand biblical knowledge readily available for those who themselves want to learn and who also want to expose their students, alumni, donors, and faculty to the present-day wonders of the biblical land. Richard Liverance served as a pastor for 25 years in various churches in the United States. He earned a Master of Theology in Bible Exposition from Dallas Theological Seminary, and a Doctor of Ministry in Expository Preaching from the Master's Seminary. As a pastor, he led biblical tours of Israel. He now serves as the Western Regional Marketing Director USA for the Government of Israel Ministry of Tourism in Los Angeles, promoting the importance of Christian tourism to Israel throughout the United States.